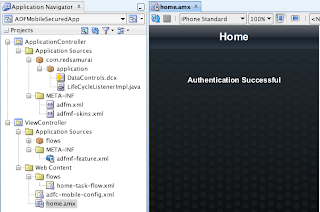 This post will be about new Oracle product - ADF Mobile. While ADF Mobile is deployed as native application, ADF Mobile Browser option is available as well - it allows to build lightweight ADF UI pages and host them on central server (check my previous post from 2011 about ADF Mobile Browser - iPhone Web Application Development With ADF Mobile Browser). 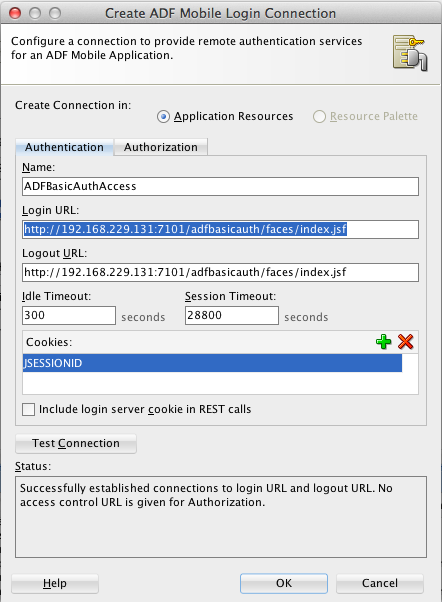 New ADF Mobile approach with native deployment is cool when you want to access phone functionality (camera, email, sms and etc. 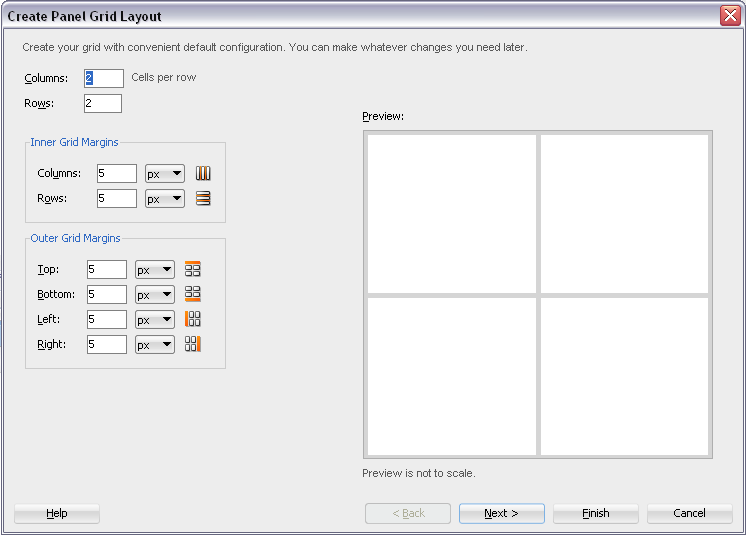 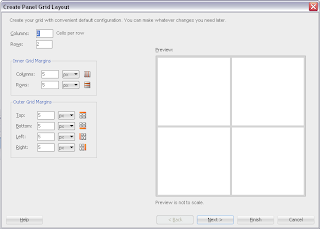 ), also when you want to build mobile applications with advanced UI. 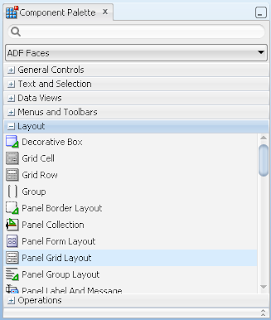 Same time ADF Mobile Browser remains very important for enterprise customers, because it simplifies development, deployment and maintenance procedure. 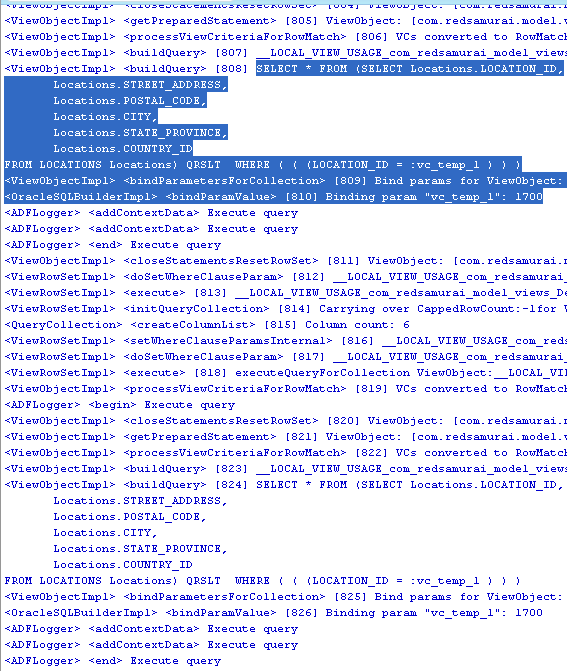 If you want to expose simple worklist with approval/rejection to mobile interface, it would work just fine with ADF Mobile Browser approach (as per blog post above). 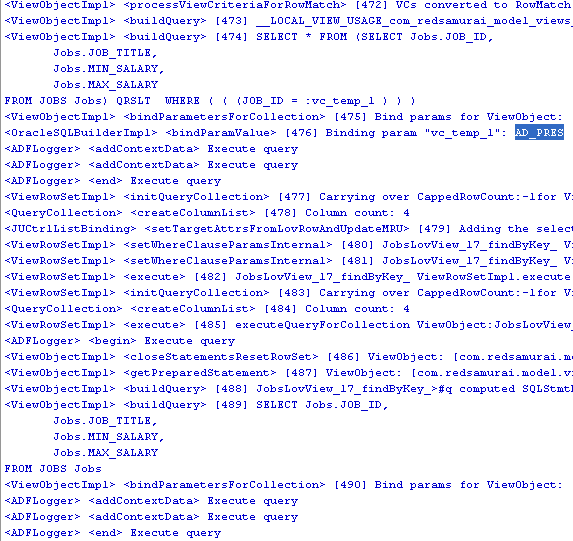 You can see that URL is pointing to our index page. 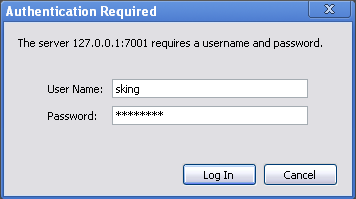 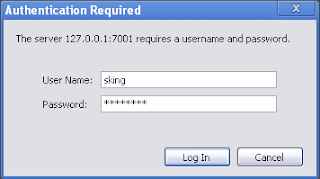 We will use the same URL for ADF Mobile Login functionality configuration. 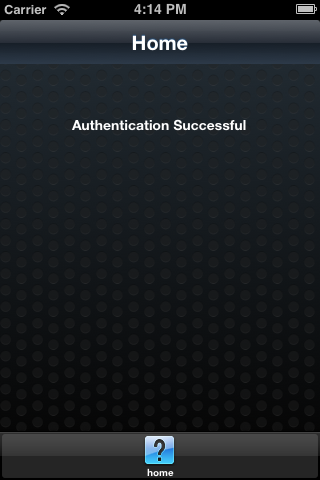 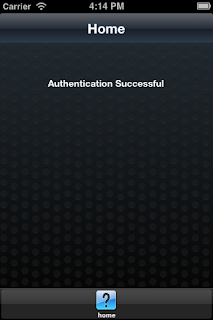 ADF Mobile is authenticating against remote authentication server (our ADF application with basic ADF Authentication) - username/password is passed from ADF Mobile Login page to access protected URL. 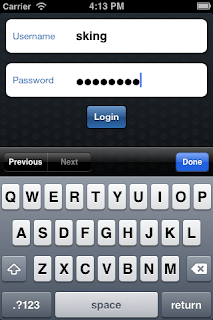 If access is successful - user is allowed to access ADF Mobile application as well. 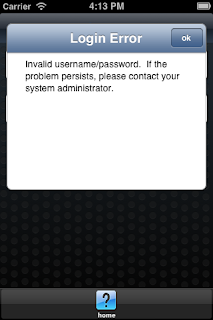 As you can see - Login URL points towards index.jsf, this is ADF Security protected page from ADFBasicAuthApp. 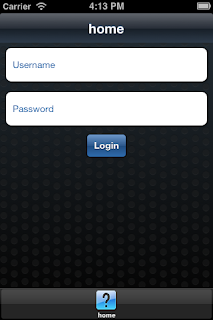 If mobile user will be able to login into this application, user will be granted access to the mobile application also. 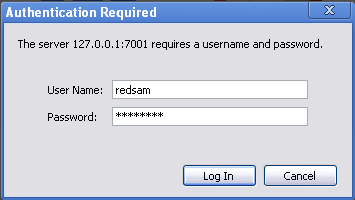 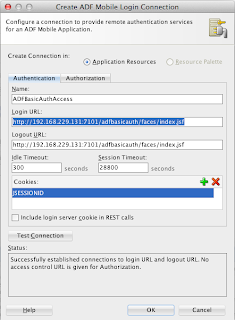 You should specify JSESSIONID cookie, if authenticating against WebLogic server. 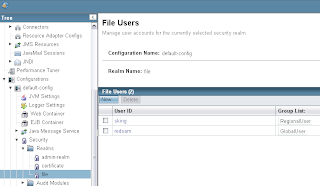 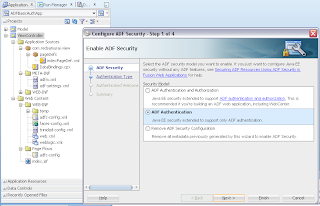 These are main steps in configuring Login for ADF Mobile application. 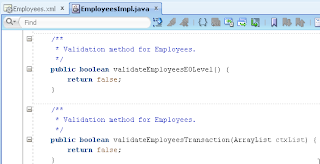 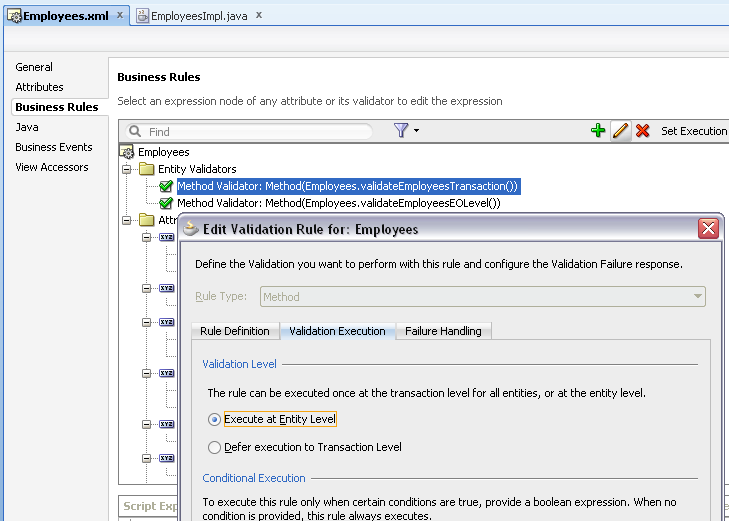 Is not so well known, but we can defer validation execution to transaction level for ADF BC entity validators. 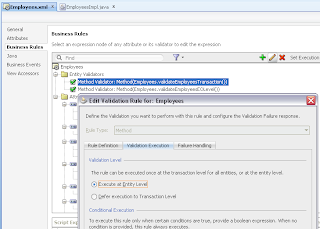 This can be applied only to Key Exist and Method validators on Entity level and is available in both ADF 11g R1 and ADF 11g R2. 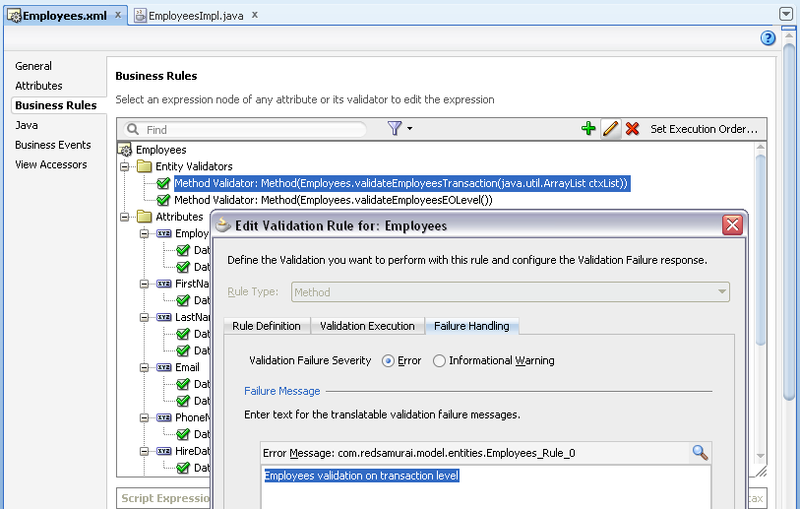 It is useful, because it instructs framework to invoke such validation rule only if other validation rules were passed successfully. 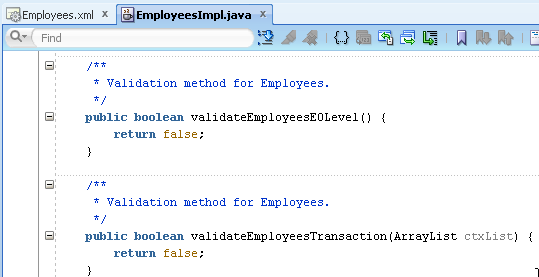 If validation rule invokes complex code, it may affect performance - each time to invoke it together with other validations. 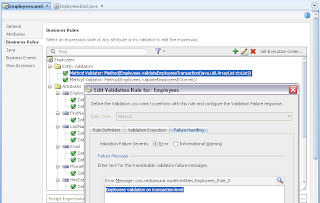 You could defer it for later execution, only if all other validations passed - sounds good. 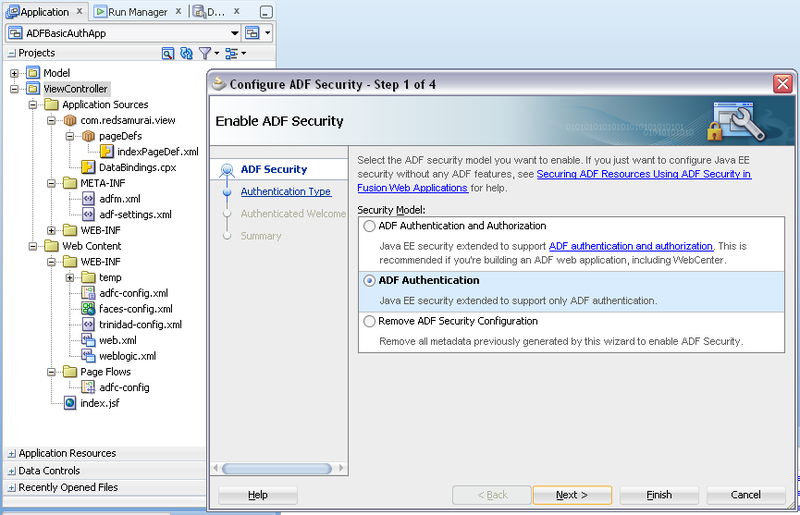 ADF Essentials includes all the key ADF technologies, only one is missing - ADF Security. 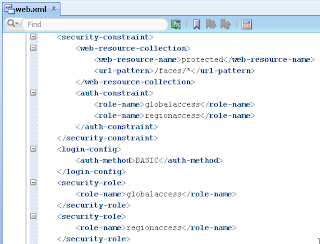 This is related to ADF Security technical implementation dependency on WebLogic security. 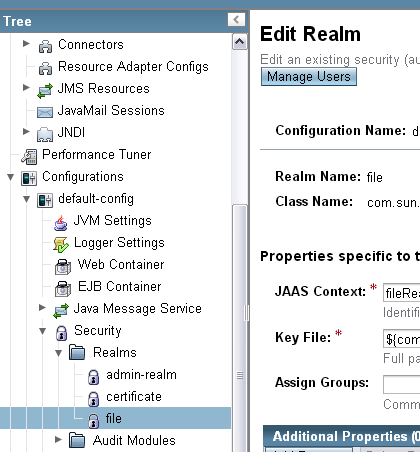 However, lack of ADF Security support is not a show stopper - we can enable JAAS security model. 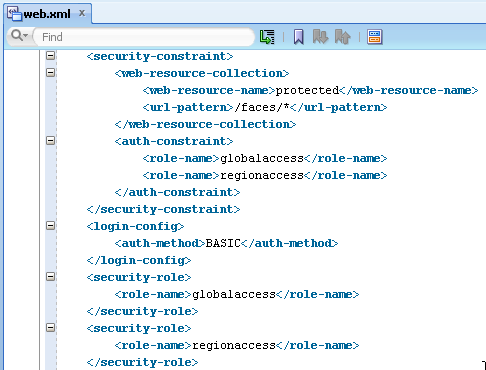 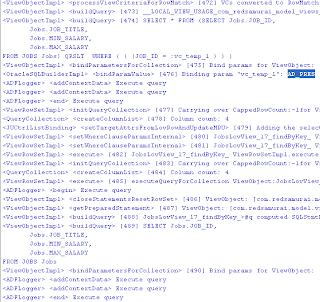 This would protect page resources from ADF application, but not ADF Task Flows with Fragments. 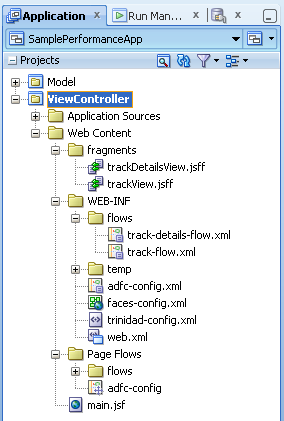 One of the most common ADF architectures nowadays - use of ADF Task Flows with Fragments through dynamic regions based on single page. 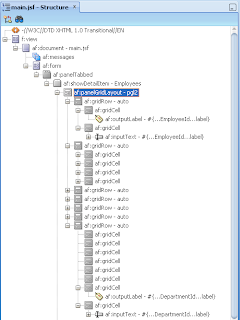 This means security implementation to protect ADF Task Flows with Fragments, when rendered through dynamic region is very important. 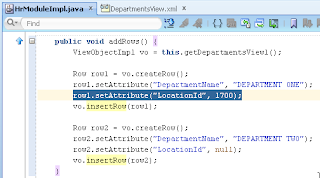 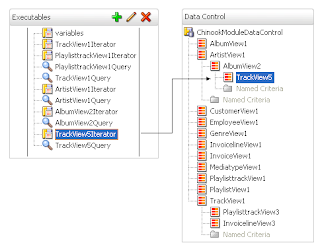 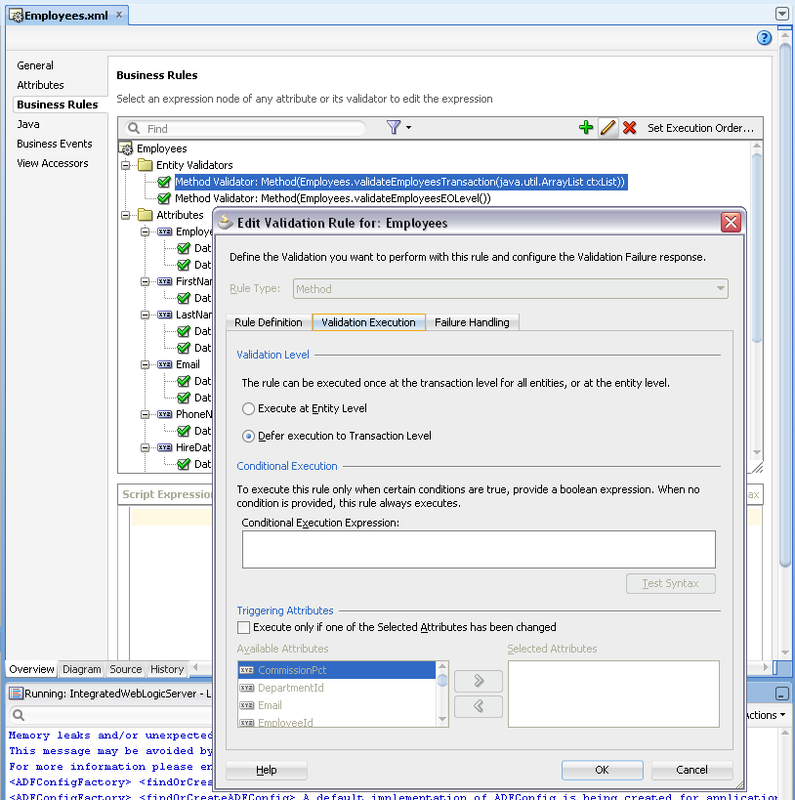 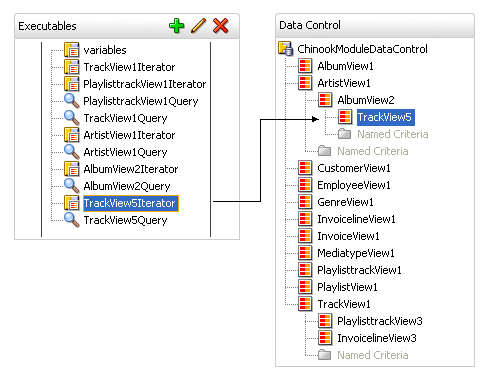 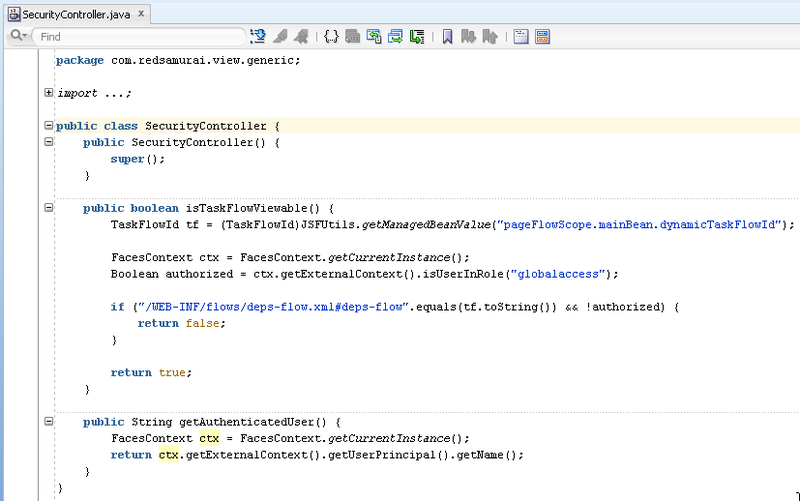 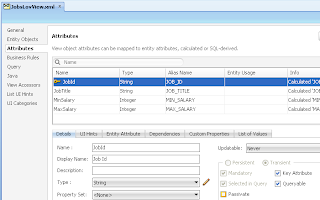 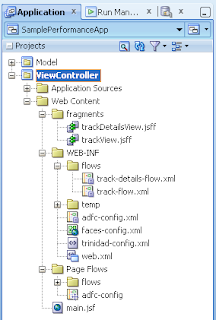 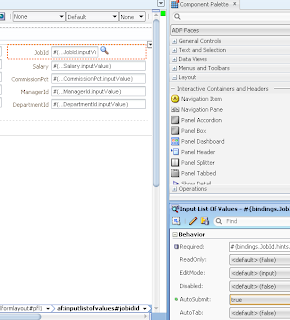 This is how we can control ADF Task Flow with Fragments access. 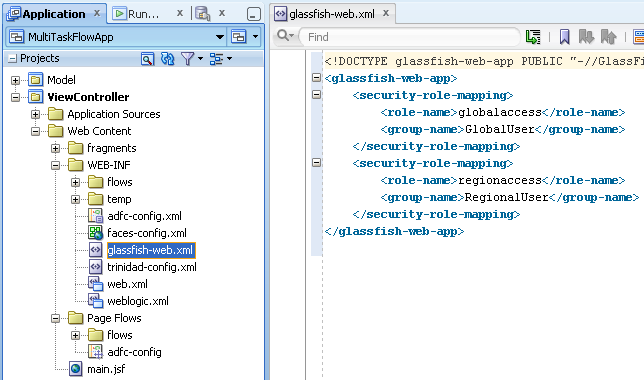 With ADF Essentials certified on Glassfish server, we can run performance test and compare ADF runtime performance on both servers - Glassfish and WebLogic. 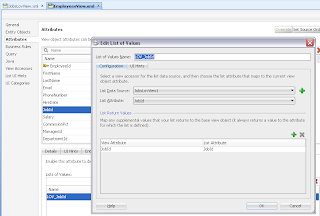 You can read about ADF Essentials (free distribution of ADF framework) from my previous post - ADF Essentials - Quick Technical Review. 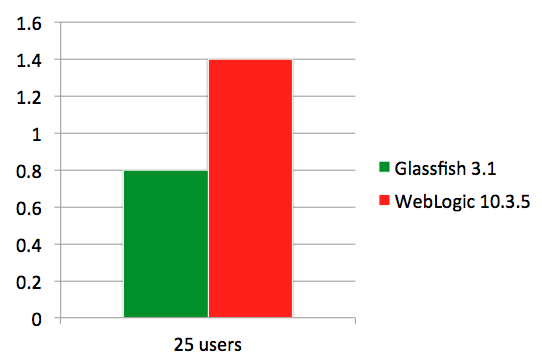 Based on performance test results - ADF runs faster on Glassfish server. 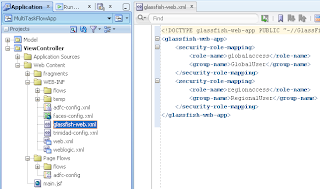 This can be explained logically, because Glassfish server is much lighter comparing to WebLogic - it allows to execute ADF runtime faster. 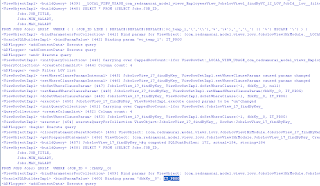 Performance test was completed on regular ADF developer environment, there was no special tuning applied for both servers - just all default settings. 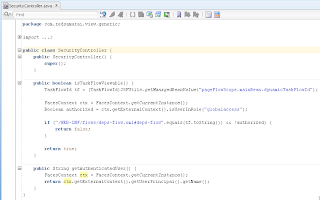 My goal was to test with default settings, without special tuning - because at the end we can tune both servers and get even better results in production. 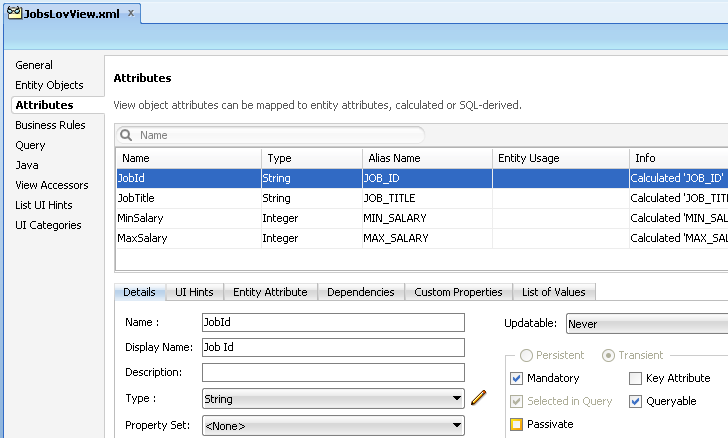 For the test case, in order to make it more realistic - I was using free sample Chinook Database data loaded into Oracle XE. 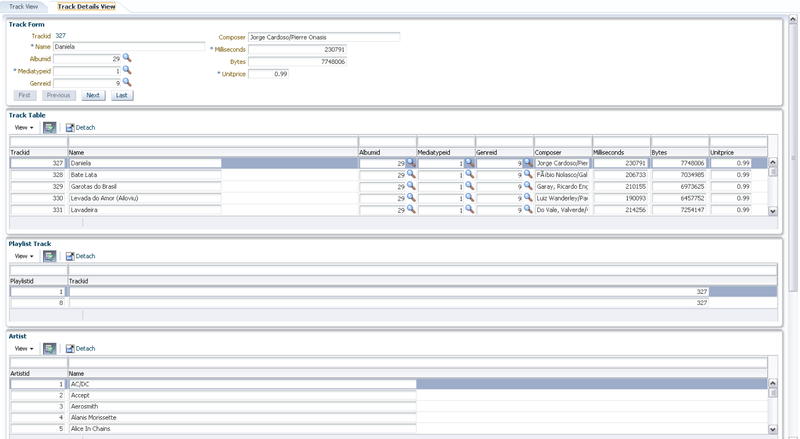 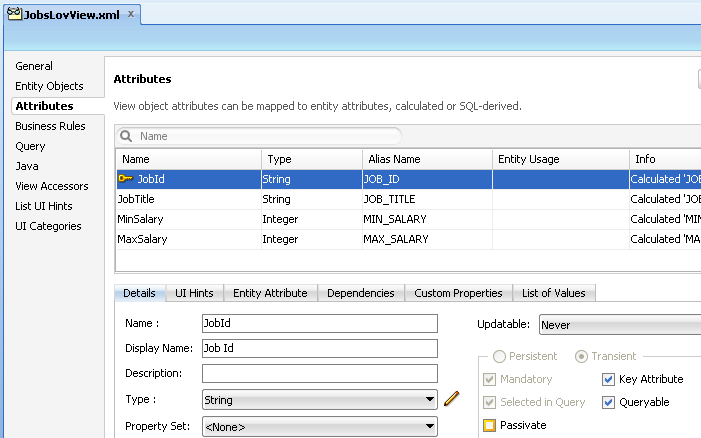 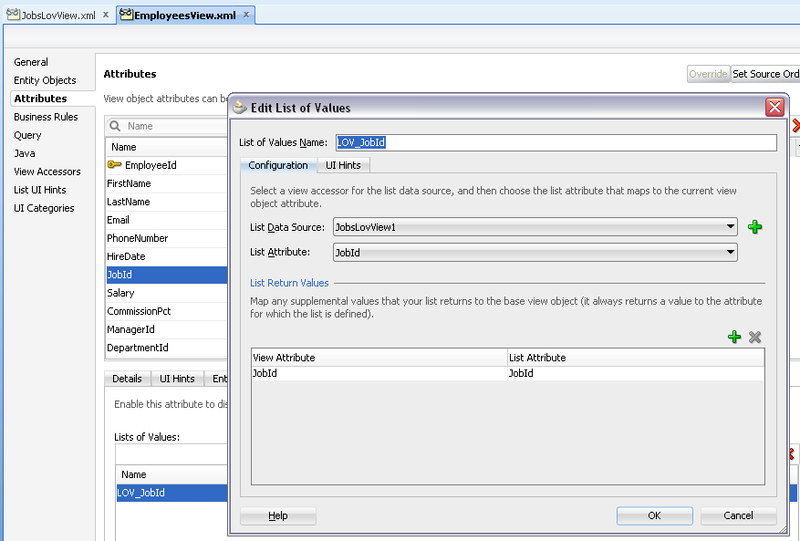 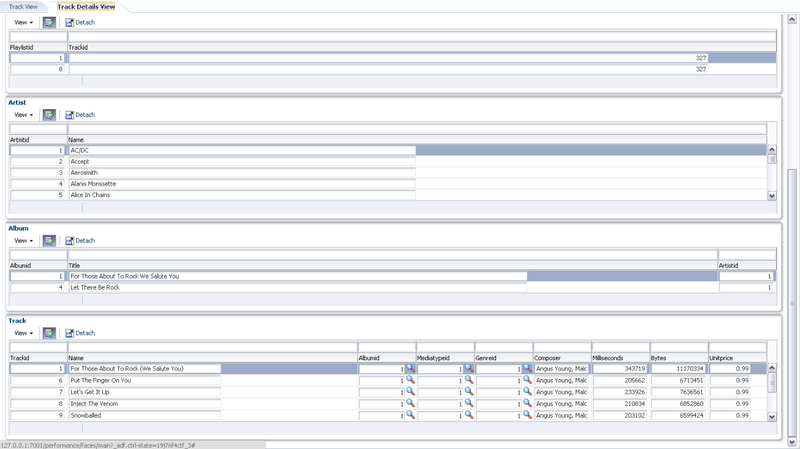 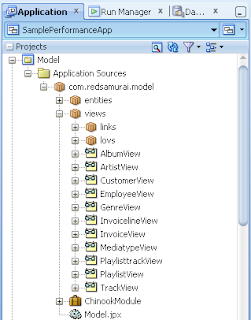 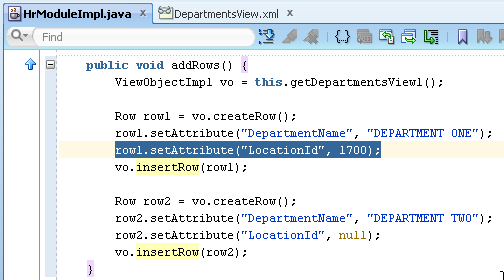 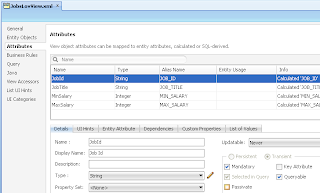 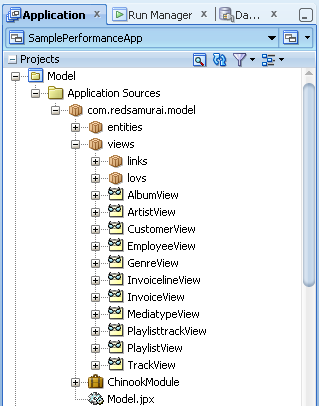 I have generated ADF BC for this database, with Master-Detail relationships. 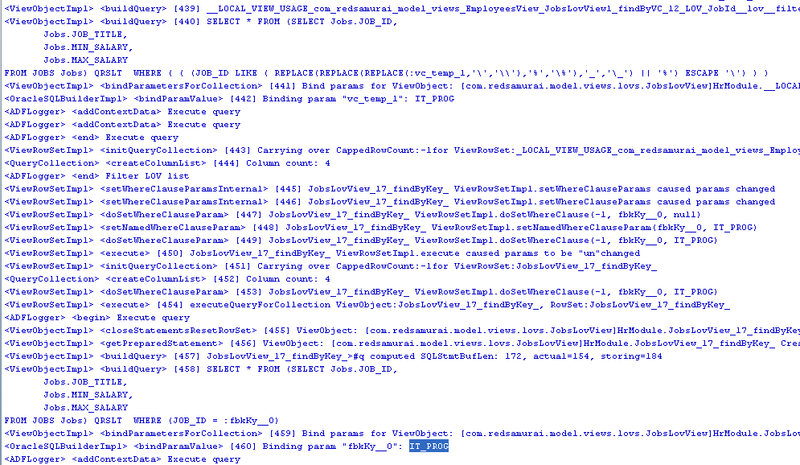 Some of the tables contains around 10 K rows. 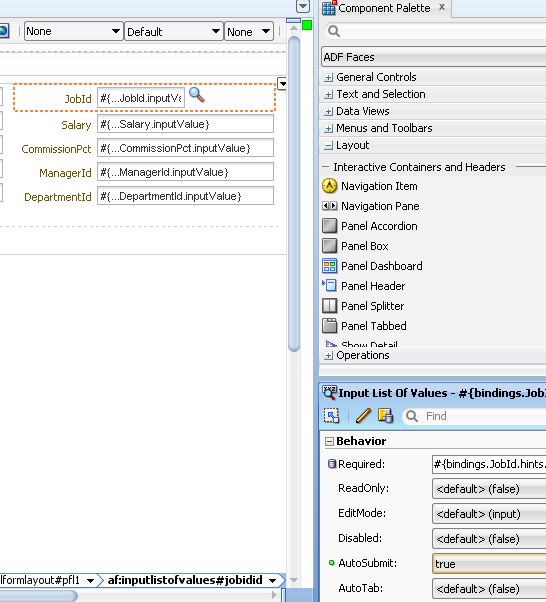 I was using these tables for LOV and Master-Detail implementations. 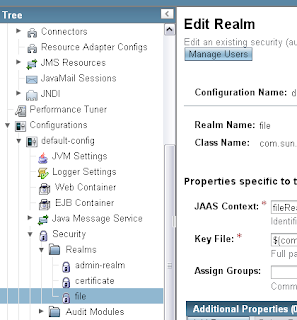 The best thing - I was able to record single JMeter script and run it without changes (well, just server port change) for both deployments (Glassfish and WebLogic). 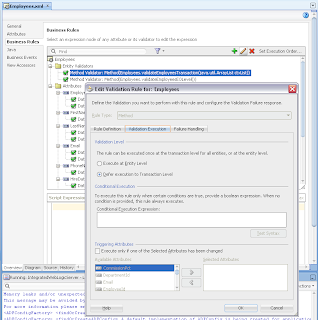 Exactly same JMeter script execution against two servers allows to produce as much as possible accurate results for the same application deployed on both servers. Here you can download sample ADF 11g (11.1.2.3.0) application I have developed for performance test - SamplePerformanceApp.zip. 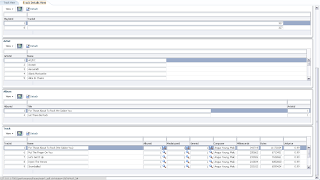 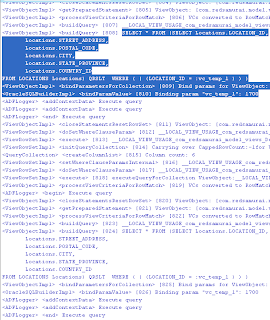 JMeter performance test script is included into archive. Performance test was performed for two types of user load: 25 and 50. 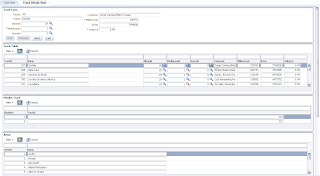 Each test was repeated 3 times to get average results. These results show WebLogic to be 2 times slower (twice as slow) in average comparing to Glassfish when running the same ADF application. 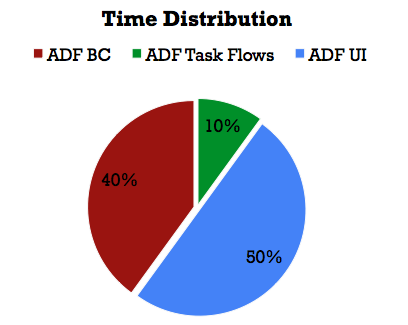 Summary: ADF performance depends on the server type. ADF is not slow, but it might be just server is slow. 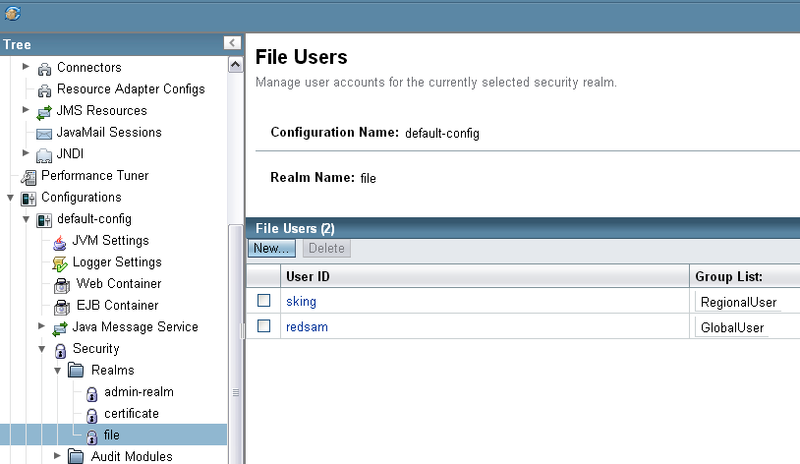 It seems to run faster on Glassfish with free ADF Essentials distribution, at least today. 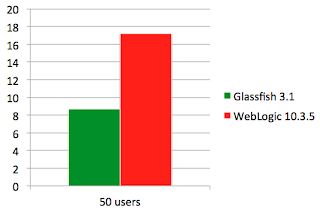 I will not go into deeper conclusions at this point, because my goal was to compare ADF runtime performance on WebLogic and Glassfish from technical point of view.